Biography: Pino Daeni (known simply as Pino) was born in Milan Italy, 11/8/1939. 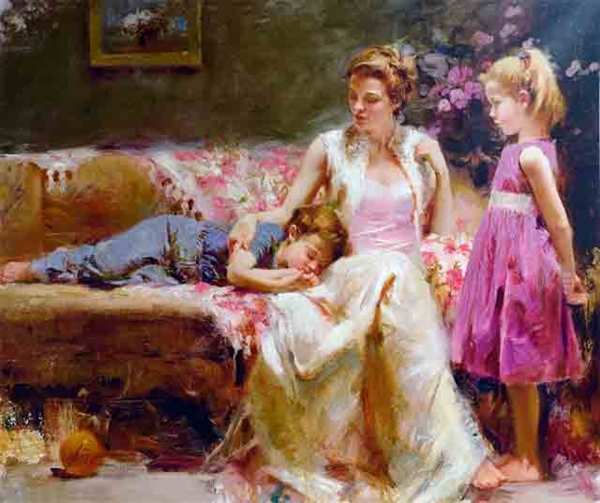 After establishing himself as a successful artist in his native land, Pino decided to emigrate to the United States, where he felt he would have more artistic freedom and opportunity. He was soon discovered by the distinguished Borghi Gallery, which gave several prestigious exhibitions for him in New York and Boston. s early paintings caught the attention of both Dell & Zebra Book Publishers facilitating Pino designing hundreds of book covers for authors such as Danielle Steele & Amanda Ashley using a then unknown model named Fabio. 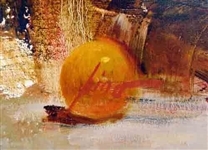 Pino's technique, warm colors and simple approach to his subject, are his trademark, and the reason why his painting & limited editions are in growing demand throughout the US, and appreciated by collectors throughout the world! Pino’s originals have sold for more than $100,000.00.